Hotels in Spain are charming. Here's a look at what to expect and where to stay in Andalucia. 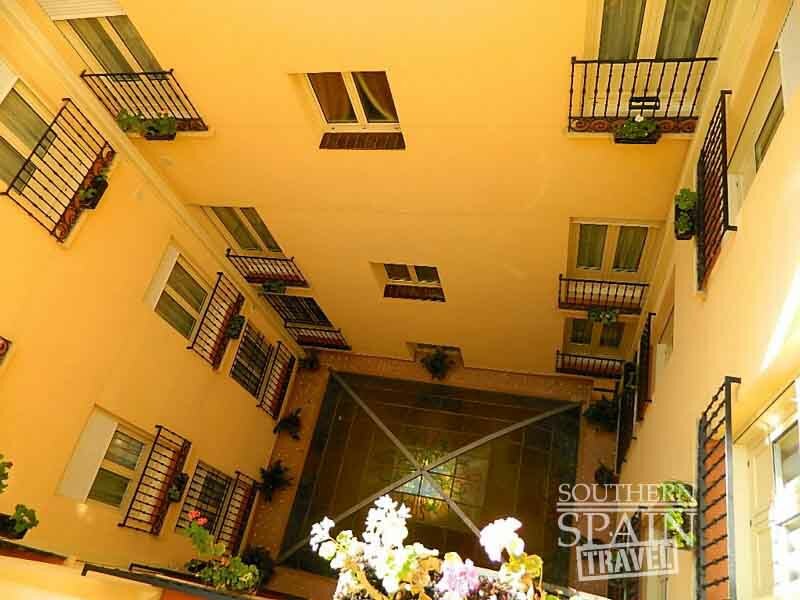 The hotels in Spain are charming, homey and could be a bit different then where you’re from. To get the full experience, you’ll want to stay in a smaller establishment, close to all the attractions. Most hotels in Spain are not like your chain hotels unless you are looking for that style than each city has a few. Even the more luxurious resorts are a bit different…. 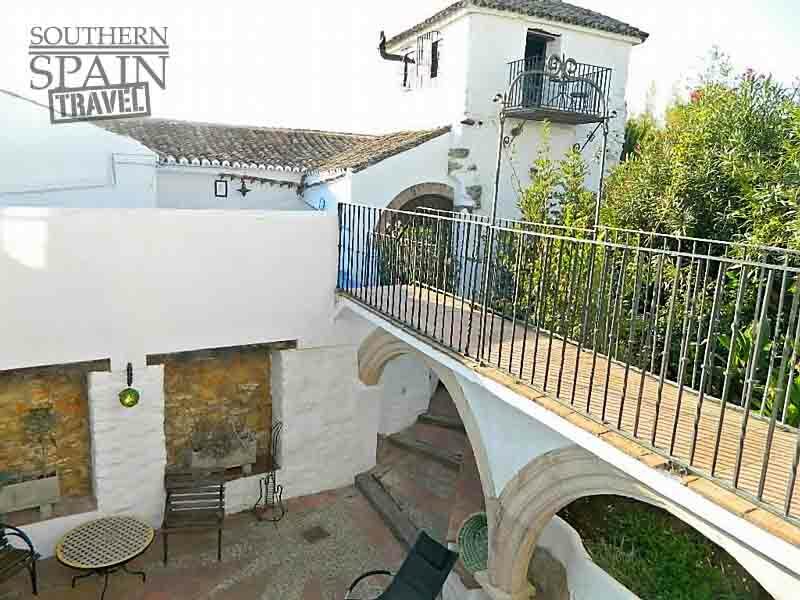 The design of many traditional hotels in Andalucia have open courtyards in the center, for which rooms face and are oftentimes served as a main lobby. Because these beautiful patios are known for the style and it’s Moorish past, it adds to the ambiance and is quite cool. Others are just older old world style, but have a lot of character with fun tiles, lots of plants and ornate oil paintings. In general, I find that the hotels in Spain are not as luxurious as North American Hotels. Because these establishments are built in mostly renovated or very old buildings, they have tried to adopt the space into a homey hotel and sometimes that means smaller bathrooms and windows facing loud streets. However, all the 2-4 star hotels we’ve ever stayed in (and we’ve stayed in a lot!) have always been clean and neat. Expect older and renovated. Expect charm, style and grace. And don’t expect to have a huge room, even if you plan to be in a large suite. You’ll find a range of hotel prices and wonder why some are so high and some so cheap, when they all look good. An affordable hotel does not equate to a sleezy or even run down place. If you are a budget minded traveler I would not let 2 and 3 star hotels in Spain put you off. If you are a college student I wouldn’t hesitate to stay in 1 star or hostels. 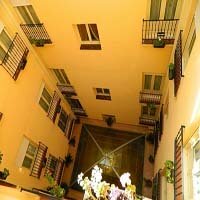 The more affordable or cheaper hotels in Spain just do not offer all the bells and whistles and are not fancy. That doesn’t mean that you can’t find and awesome place that is clean, safe and in a fantastic location. 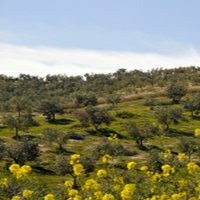 The less expensive hotels in Spain usually don’t come with breakfast, Wi-Fi, or even a public computer.All the ones I’ve stayed in where safe, clean, and have an old world feel to it. We did notice, however, that the cheaper the hotel the thinner the sheets, towels, and pillows. For us, this was no biggie. If it is to you, then shoot for a 3-4 star hotel with good ratings. Because the majority of great choices are non-chain, patio-style-old-world-hotels, here are some things to keep in mind so that you won’t be too surprised when you arrive. Beds -You should be aware that many of the hotels in Spain you’ll say in don’t have the greatest mattresses, unless you stay with a well known chain hotelier. One important item to note is that not all rooms come with double beds. If you would like a double or have a partner with you, make sure you are booking a room with a double bed. Many times they also come with two single beds, which they push together and is usually fine if you are prepared for it! Expectations - Spanish hotels are great, their service is great, and their charms exceed the chain hotel boxes we are used to staying in. My words of warning are only to make you aware that Spanish and for that matter European hotels are not like U.S. hotels, however, if you are reading this your probably already have an open mind are looking forward to a new adventure in Southern Spain. TV - If you are like me you want to watch a little TV before bed. (I know we are in a foreign land and we shouldn’t be are usual couch potato selves, but like most habits, its hard one to break). Don’t worry- at a minimum most hotel have at least CNN international in English. Safes - Most hotels have a safe for free or a small charge. I have never had a problem with things disappearing in my hotels in Spain, however, I use the safes for peace of mind and I recommend you do the same. Breakfast - Many hotels will offer free breakfast. Most of the times this does not mean a continental breakfast, it means a full, all out wonderful breakfast buffet. Some hotels we’ve stayed in even have a made to order station with regional treats. As a side note, I prefer breakfast with my hotel because it is fast and convienant. If you have a day full of sightseeing ahead don’t waste time walking around looking for a café. Also if you don’t speak Spanish eating at a cafe could be more challenging where as at the hotel they are most likely to speak English. 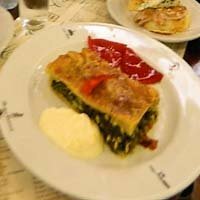 I have eaten at both cafes and hotels and the hotels for the most part give the café a run for their money. Most hotels that had breakfast included had a buffet and I got my money’s worth. 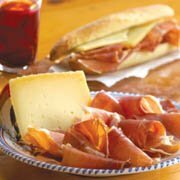 We would eat a hearty breakfast to keep us going to the Spanish lunch- usually around 2:00pm. Front Desk Staff/Receptionist - These folks can be your savior in an emergency. They also can recommend great places to eat, give directions, and give great travel advice. In the smaller establishments there might be just one steady person you see every day and get to know. They’ll want to help you and tell you where to go. Listen to their advice, as they are usually right! And who knows, maybe you’ll get free upgrade. Location - I have two opinions about location. One is you should pay a little extra and book the hotel closest to all the attractions. You save time and possible money in the way of taxis. By staying farther out from the main attractions you get a nicer hotel at a lower price but than you are paying taxi fees to go back and forth to the attractions. Also I like putting a little distance between me and the hustle and bustle of the tourist areas. Noise - Many hotels, especially those located in the el centro (center city) and with room facing the street can be noisy with motos from the street. Spaniards like to party and sometimes they will be up all night walking around which might cause some disturbance. Now I am passionate about Spain, and the noise is a part of the ambiance for me. If you are a light sleeper you might want to sacrifice the view for a room that faces a court yard. Parking - For those of you that are driving to your destinations be aware that most places will not have a parking garage or a dedicated lot. Most places that I have driven to do not have parking. I have either parked on the street or paid for a garage. Electricity - Remember to bring an adapter to charge your cell phone, i-pad, i-phone, camera, etc. as Spain might have different then what you might be use to. Many hotels, especially in the major cities like Madrid, did offer us adapters at no charge. Try staying in a Spanish Villa…you’ll make memories of a lifetime!